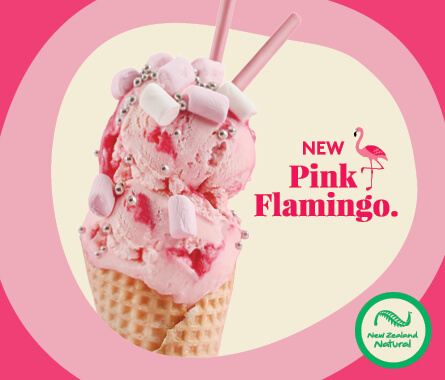 Make the most of the upcoming school holidays with our NEW Pink Flamingo ice cream – a delicious mix of berry and fruit flavoured ice cream with a tangy pink sherbet. Irresistible! Try it at your local parlour today.